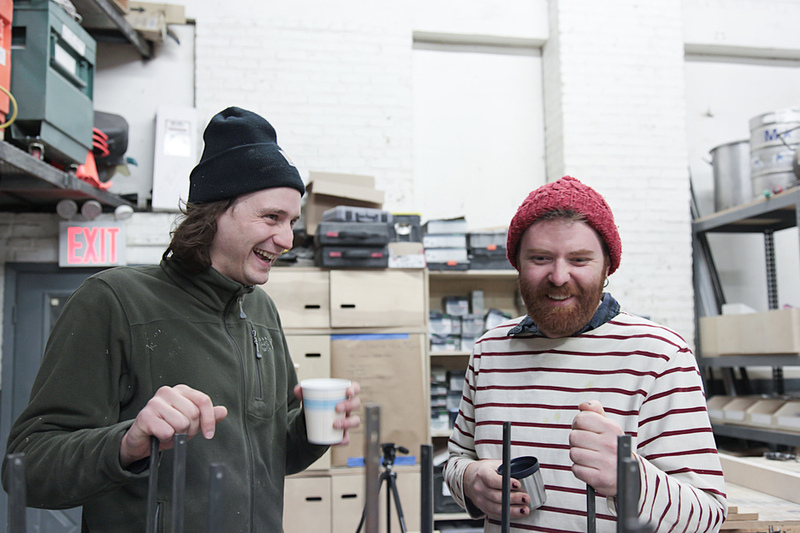 How The Factory NYC dream team are spreading the local making mission in Brooklyn and felt compelled to bring manufacturing home again. Located in the Brooklyn neighbourhood of South Williamsburg, right next to the Brooklyn-Queens Expressway, lies The Factory NYC. They’re just a few minutes away from the Williamsburg Bridge connecting them to the Lower East Side of Manhattan. 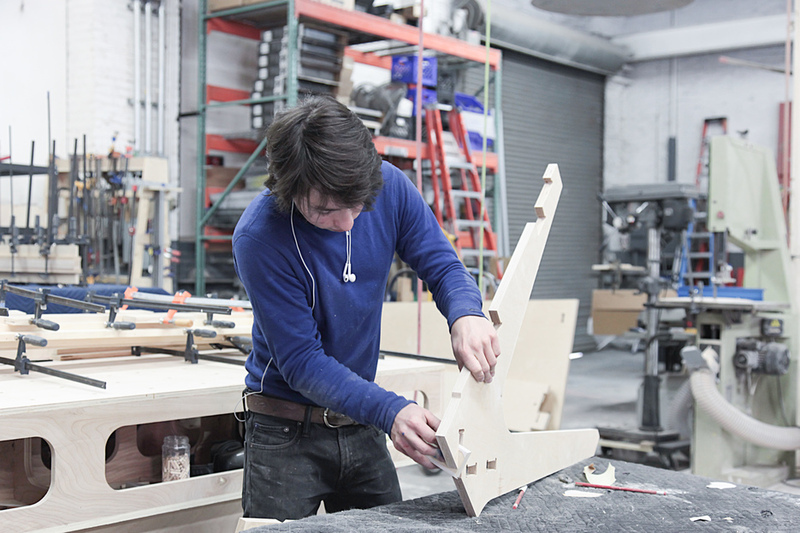 A 13,000 square foot workshop plays host to a range of activities including the making and installation of event sets, custom props, retail displays, scenic painting, carpentry, metalworking, CNC milling, and Opendesk furniture making. 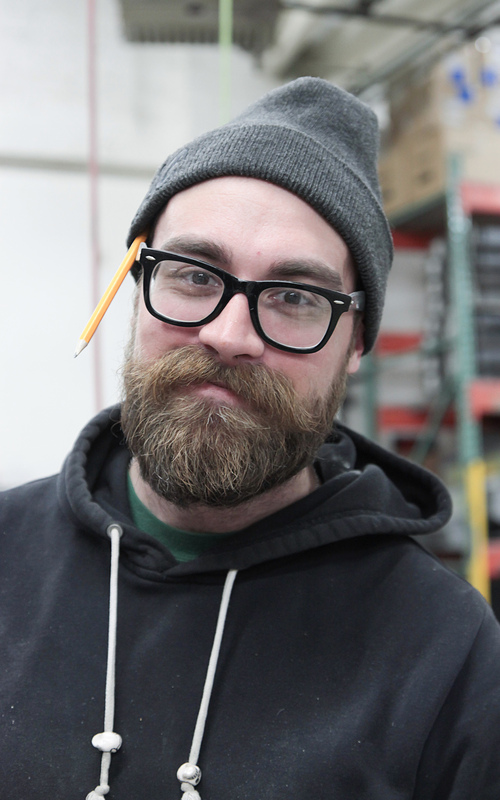 We met with Andrea to chat about life in the workshop and the team’s keen eye for perfection. Andrea: Founded by artists and staffed by skilled craftsmen, The Factory excels in creative problem-solving - whatever the task. We take pride in our efficiency, quality, and attention to detail. We’re a team of perfectionists. For us, the devil is in the detail! It all started back in 2013 when the factory first opened its doors. 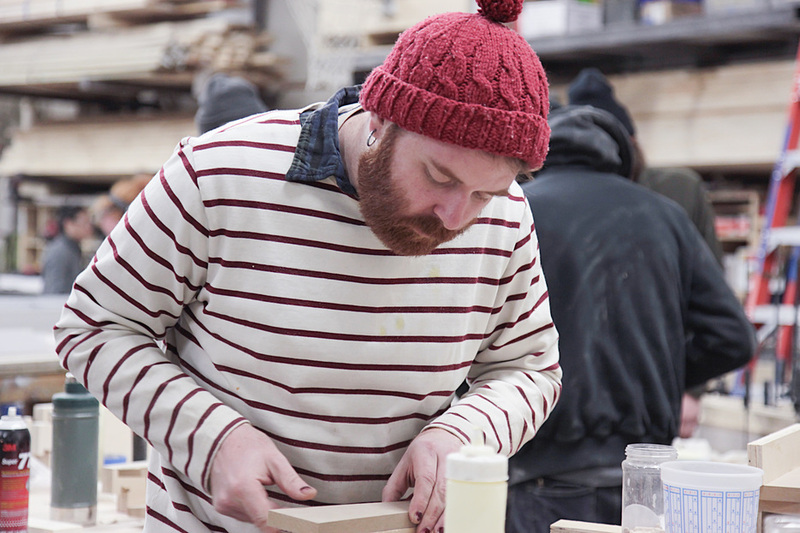 Since then we have been harnessing the potential of an artist-run fabrication shop in the creative capital of the world. We fabricate and create almost anything you could dream of from film sets to oil paintings! The Factory creates many custom-made activations for public and private publicity events, print works in various mediums for individuals to retail stores, and many other projects in a variety of materials. Andrea: We’re a fast growing team with just under 50 people working on multiple projects at any one time. 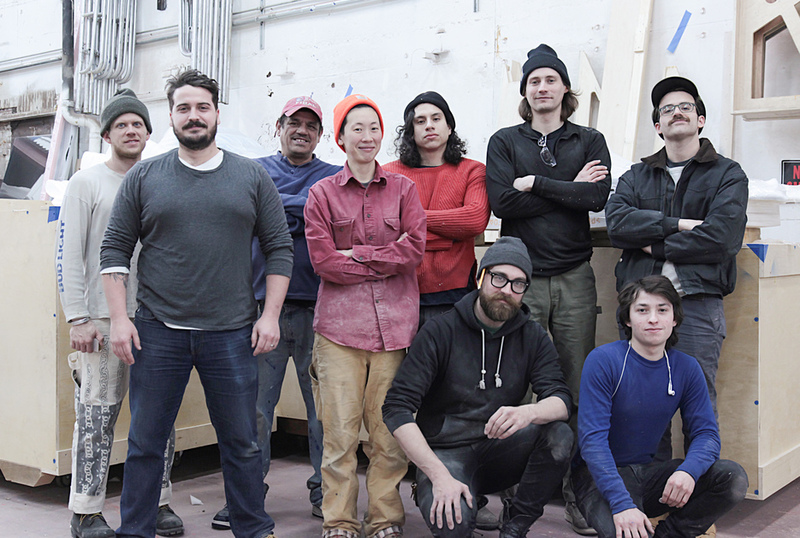 Our team of 12 furniture makers are experienced woodworkers and artists that study and teach in some of the city’s best art schools. 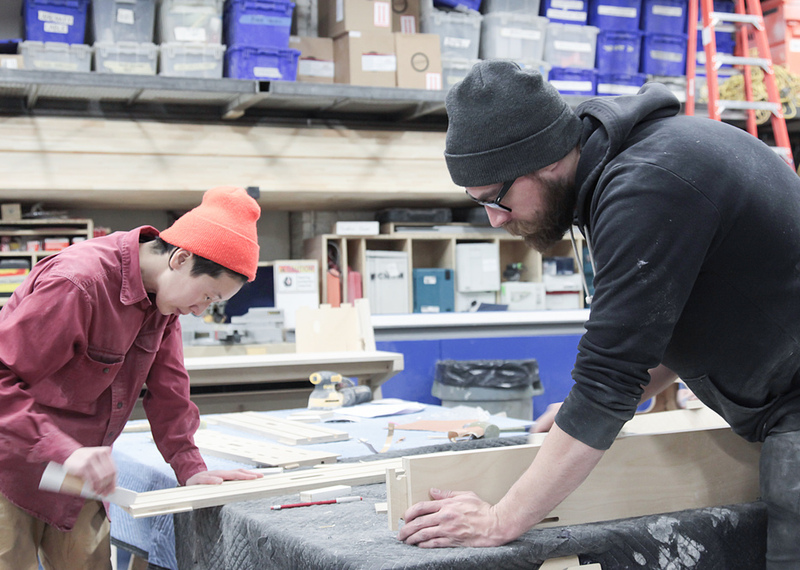 When they’re not tutoring the cities upcoming design talents, they’re here at the shop crafting Opendesk furniture with care and affection. Andrea: We want to be the best, so we make the best work. Our aim is to uphold the aesthetic qualities of our work to the same standards as their functionality. You hear the saying ‘form follows function’ a lot - we don’t believe there should be a compromise. The artistic flare of our team helps us make every project visually stunning and functionally useful. Sounds obvious but you’d be surprised how often one is sacrificed for the other! 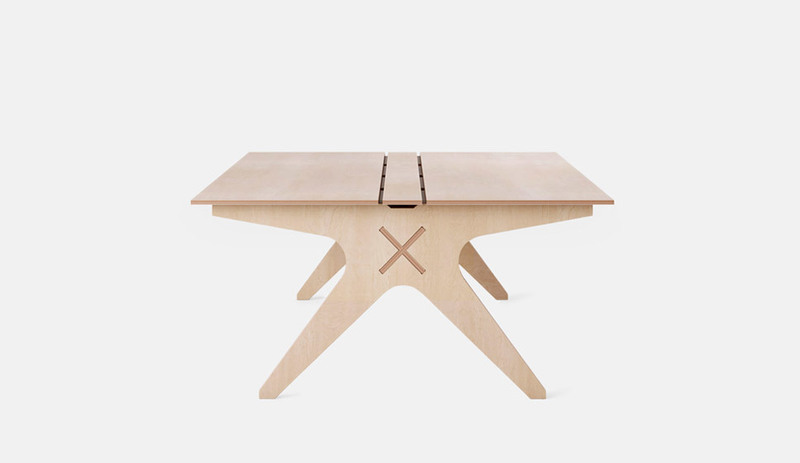 Opendesk: Why did you join Opendesk? Andrea: It was a cosmic turn of events. 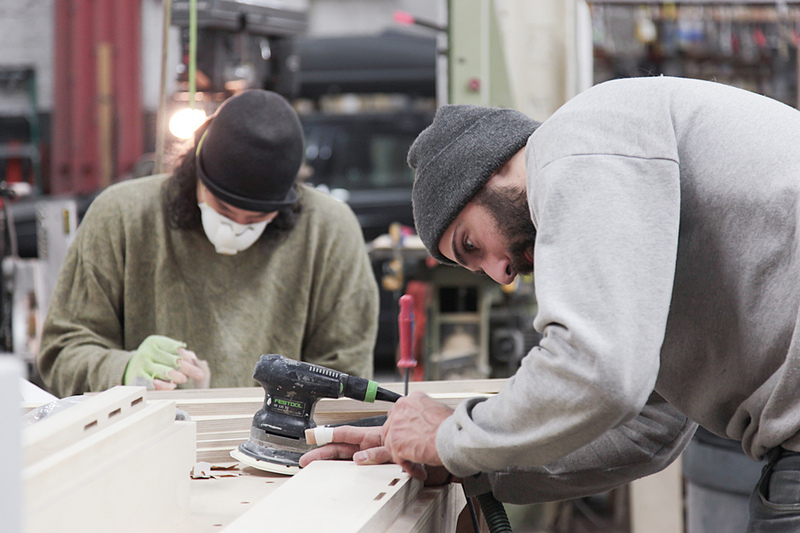 In a city as lively as New York, talk of Opendesk quickly spread to our workshop. 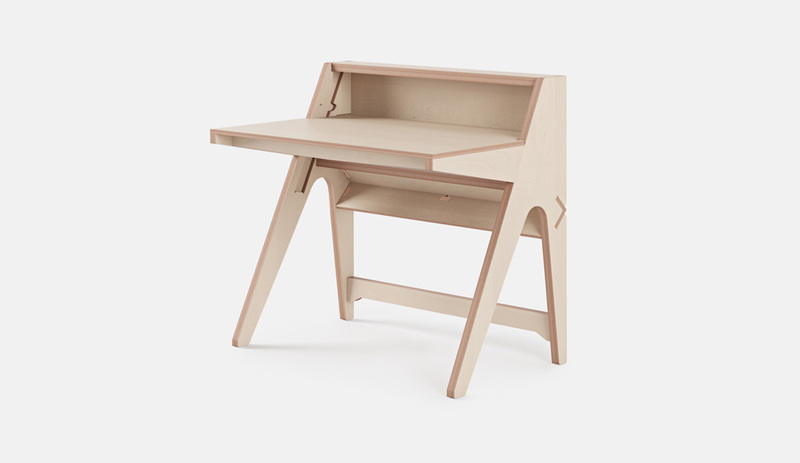 Opendesk connected with us on so many levels and we felt compelled to join the mission to bring manufacturing home again. 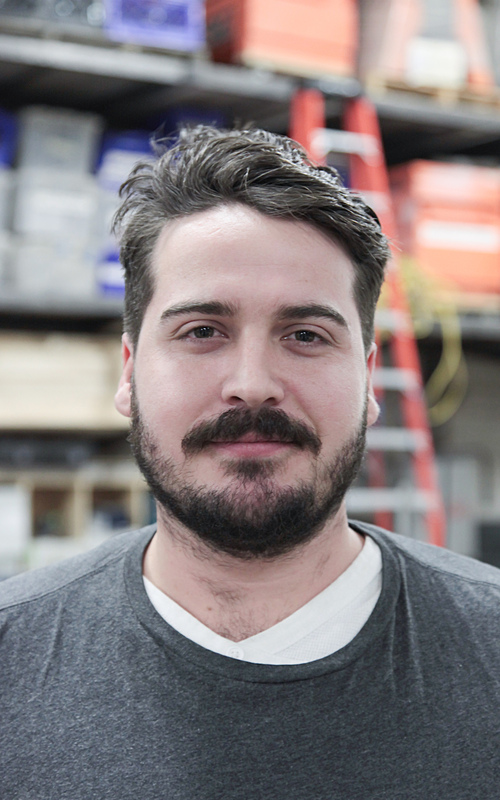 Our project manager Shane Jezowski first introduced us and he’s the man behind the high-quality production processes we have perfected for Opendesk furniture. Shane is an outstanding member of our team who has constantly pushed us into becoming the innovative and fearless company we are today. What’s your favourite design to make? We’ve made many Lean Desks but recently we’ve become quite attached to the Fin Lockers, having made a few for our workshop. One design we all love is the Lift Standing Desk, which always brings a smile to our face. It’s extremely satisfying to make and its clever joints are a pleasure to assemble. The finishing touches are always the most satisfying. Adding the last coat of oil makes the furniture glow and brings a sense of accomplishment after every build. 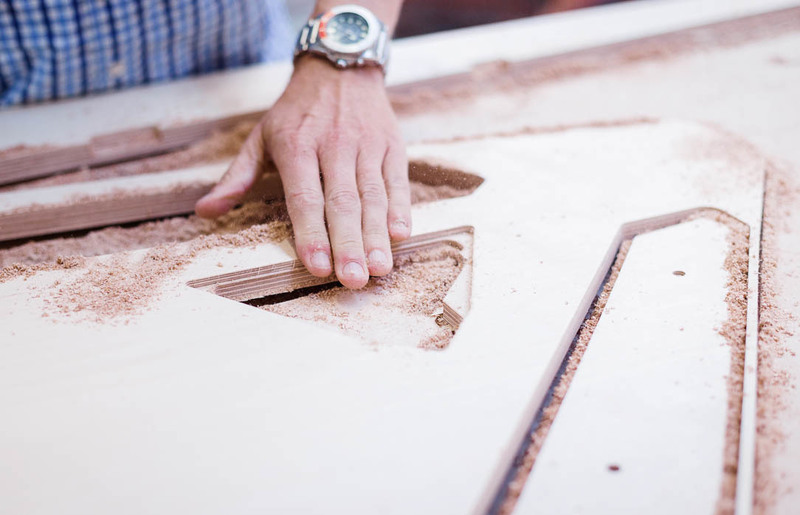 It doesn’t matter how many you make, seeing a beautifully finished piece of Opendesk furniture is always a moment to cherish! 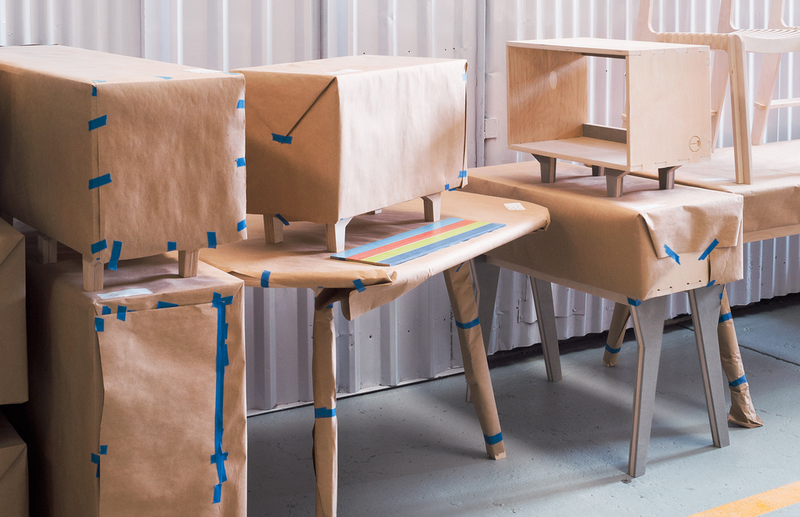 Opendesk: What does Opendesk bring professionals like you? 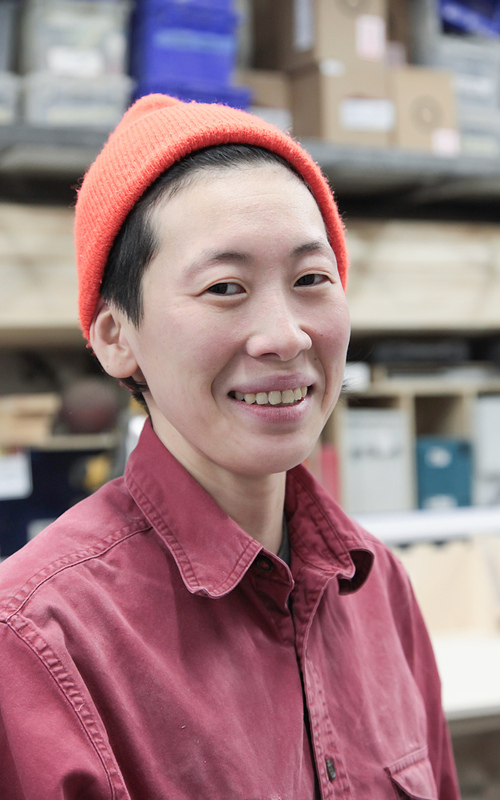 Andrea: We’ve learnt a lot when working with Opendesk. It’s brought out skills and interests in the team that we didn’t previously know about. We’re also getting better and better and would now consider ourselves master furniture makers! 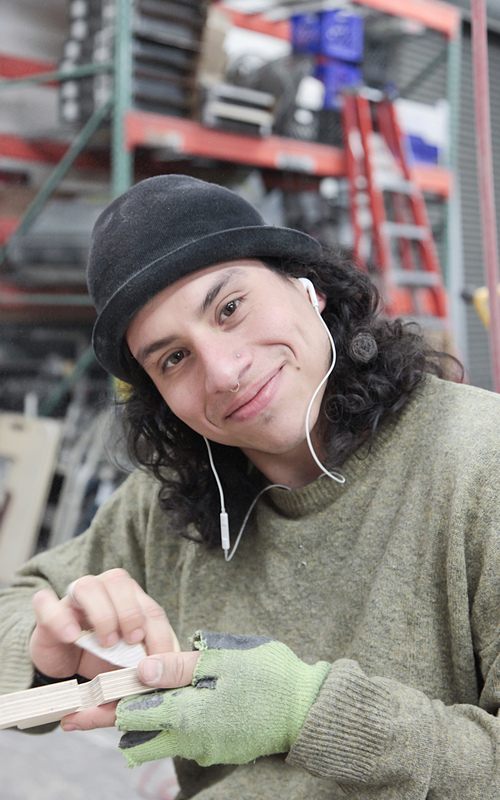 What’s more, we’re working with lovely New Yorkers to whom local making matters! It’s all the more rewarding when the effort and care we put into each and every piece of furniture is appreciated. The future looks bright and we hope to open expand our operation beyond New York in the future! 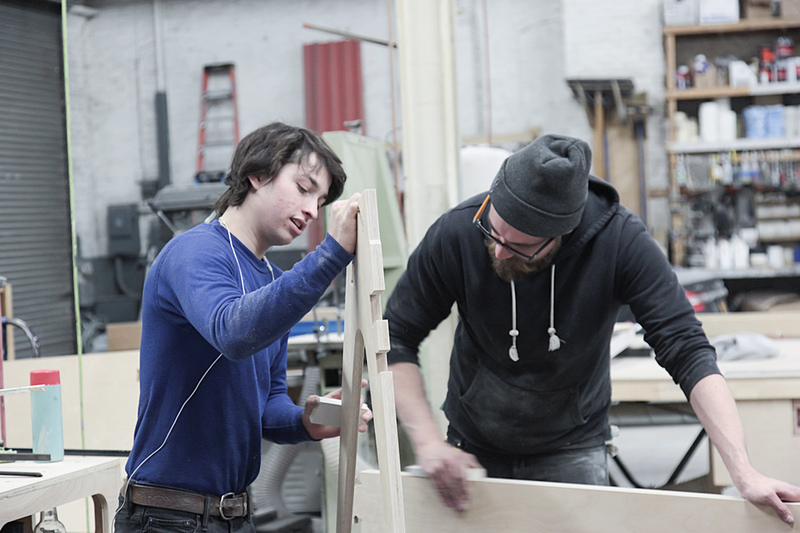 We’re passionate about spreading our philosophy of artist-run fabrication. 2017 has started strongly and we’re diving into bigger, more challenging projects that will keep our team busy for rest of the year. 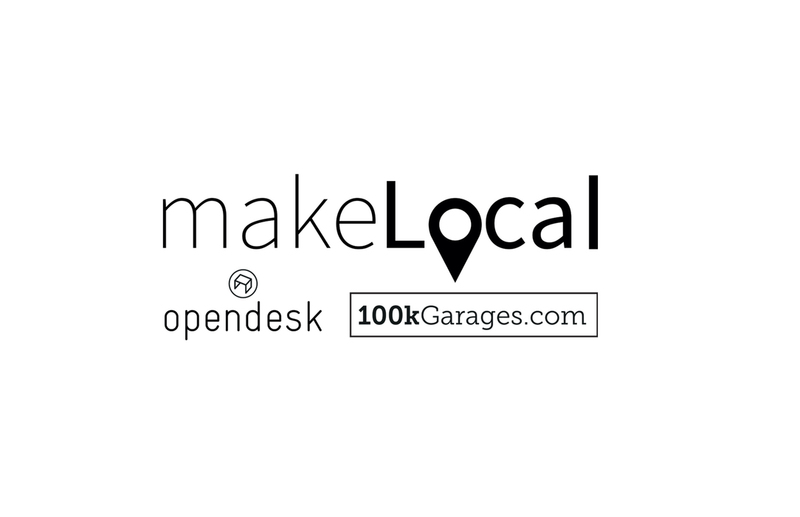 100k Garages and Opendesk have come together for the New York maker showdown that is the World Maker Faire.